Now, you may have heard the rule in a lot of onsens (hot springs) that required that you DO NOT have tattoos on anywhere on your body if you want to enter their inn. That is because they signify tattoos with organized crime syndicates, which tend to scare them off. But of course, there are some places in Japan that are tattoo - friendly places that you can have a long soak in their hot springs even when you're covered in tattoos. Gotembashi Onsenkaikan which is located in the Shizuoka Prefecture is one of the inns that don't mind accommodating guests with ink art on their bodies. With only 800 yen for a one day pass, it is a very affordable place to just relax and unwind yourself. 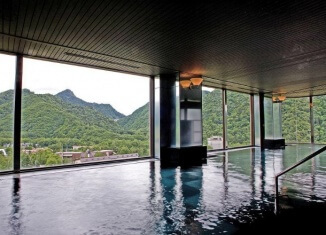 Normally, if you go for the usual onsen inns in the city that offer accommodation, food, and bath package, you may end up paying so much more than you expected. So for those who are on a tight budget and aren't really planning on staying overnight, this is a very good alternative for you. Apart from its affordable price, Gotembashi Onsenkaikan is not far from Mt. Fuji and therefore is guaranteed a nice view of the mountain's glory while you soak into the bath, especially if you visit on a fine day. Although the place does not have an outdoor bath, the indoor baths are featured with huge glass windows where you can enjoy the beauty of the outside. The water in the indoor baths come from the town's very own three hot springs, making it a wonderful experience for those who have sore muscles and for skin rejuvenation. 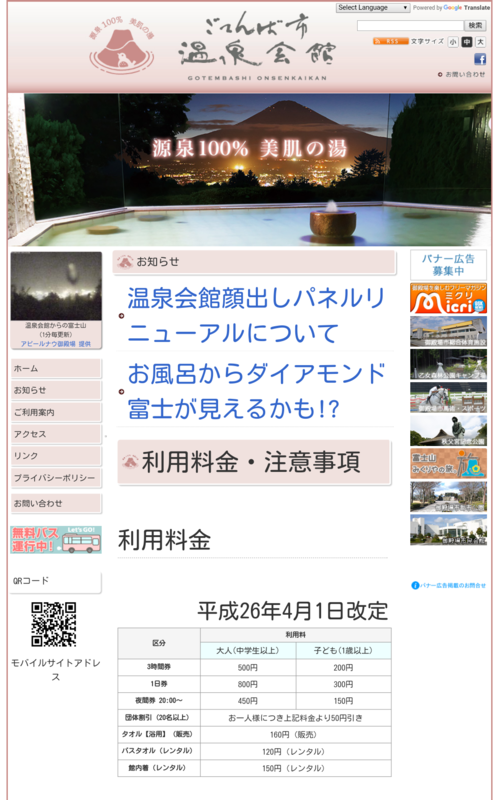 So, for those who have been wanting to get to onsen (hot spring) but a little worried that the inn may forbid you to enter, have no fear because this beautiful place would totally allow you to enter and take your time to soak in the hot spring water. An affordable and beautiful place is definitely worth a try.